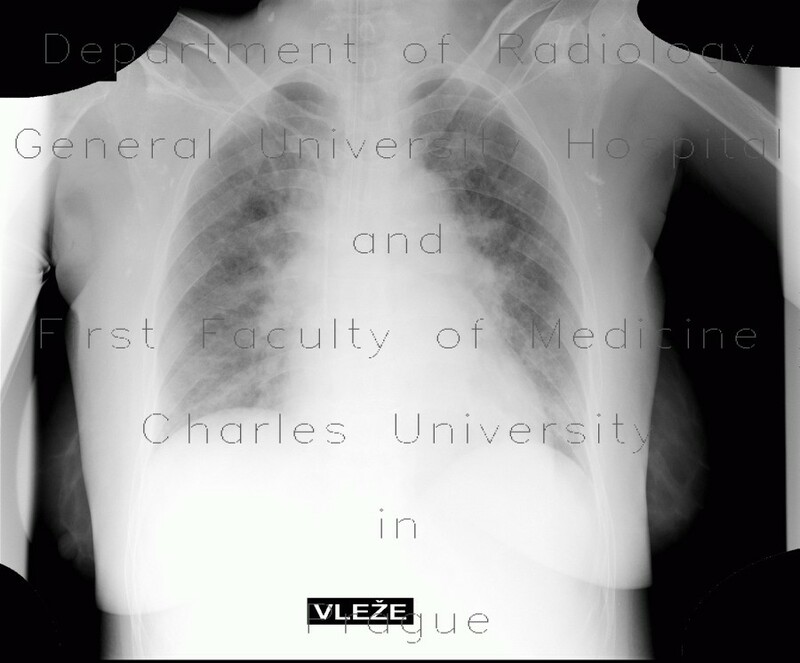 First chest radiograph shows malposition of endotracheal tube that projects into the right mainstem bronchus. On the second radiograph, its position was corrected. Note also disapperance of interstitial pulmonary edema that was apparent on the first radiograph as reticulation around both hili and cuffing of bronchial wall. Calcificication in both armpits are most likely calcified lymphatic nodes.